LA River bridges tour, part 1 | ride. travel. live. Los Angeles is a wonderful walking city, rough around the edges, but I think it’s best seen on foot. Plus, there are a lot of pedestrians, and plenty of people taking the underrated public transit system. In my previous post, I outlined a walk that took in the variety of the bridges that cross the LA River downtown. 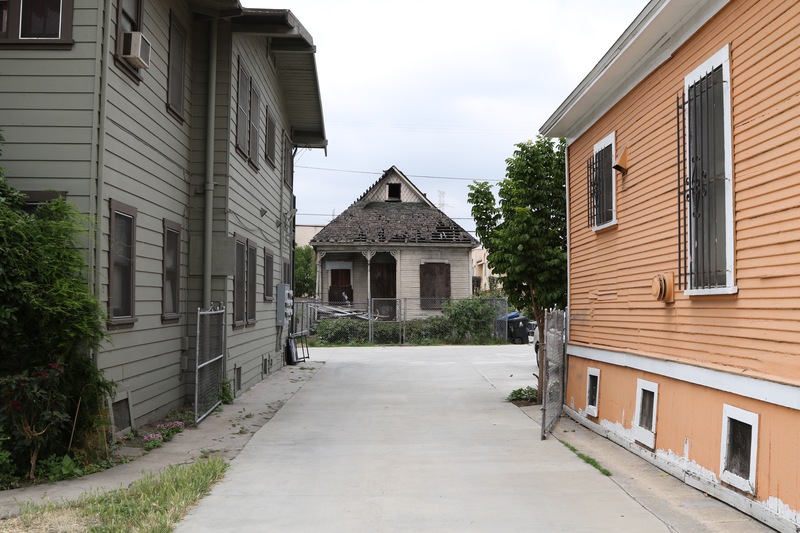 It threads through mostly older neighborhoods and industrial areas just east of the downtown core. In early June 2015, I took a walking tour of most of the downtown bridges, so here’s part of the tour. The typical June gloom day was ideal for walking around, since there’s very little shade in this part of town, keeping the temperatures, and the temperature of the pavement, tolerable. Of course, not following my own advice, I drove into downtown and parked at Union Station. I started by going north on Alameda Street, which then blended into Spring Street and headed in a rough northeast direction down a busy traffic thoroughfare, though sparse with walkers like me. About a mile north of Union Station is the short North Spring Street Bridge (1928), part of a closely spaced trio of bridges, each of them fairly similar in their design. This one is being retrofitted right now. 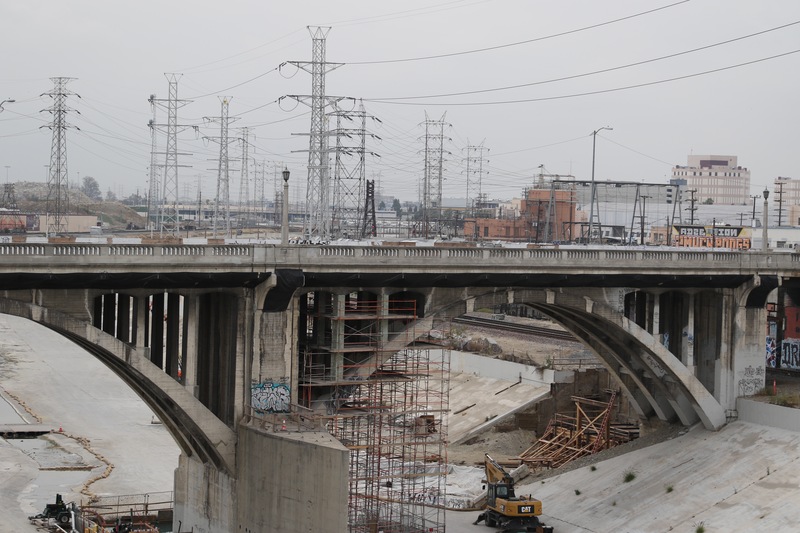 North Spring Street Bridge (1928), and the gritty landscape of the LA River. Truly a concrete jungle out here. The eastern end of the Spring Street Bridge lies one block from the North Broadway Viaduct (1911), which is bookended by a set of elegant columns. It’s built on a grander scale than its neighbor, with a few additional decorative flourishes, like this central set of columns midway through the span. The Broadway Bridge is heavily restored and retrofitted, and although the original ornament has been duplicated, the surfaces are clearly new. It’s not really perceptible to drivers, but walking across, it was a somewhat disappointing experience seeing how “new” it was. I recognize of course that the retrofits were necessary given how seismically active the Southland is. I turned north at Solano Avenue, heading up Solano Canyon, one of those unfortunate neighborhoods that felt the effects of the Pasadena Freeway (Arroyo Seco Parkway) in the 1940s, and then the construction of Dodger Stadium in the late 1950s. In effect, it’s been split in two by the Parkway, and the geography keeps it a rather isolated, funky enclave that’s not often visited. It seems to maintain a sense of community often lacking in an anonymous big city, let alone a very spread out big city like LA. I crossed under the freeway and then up the stairway to the walkway along the Parkway. 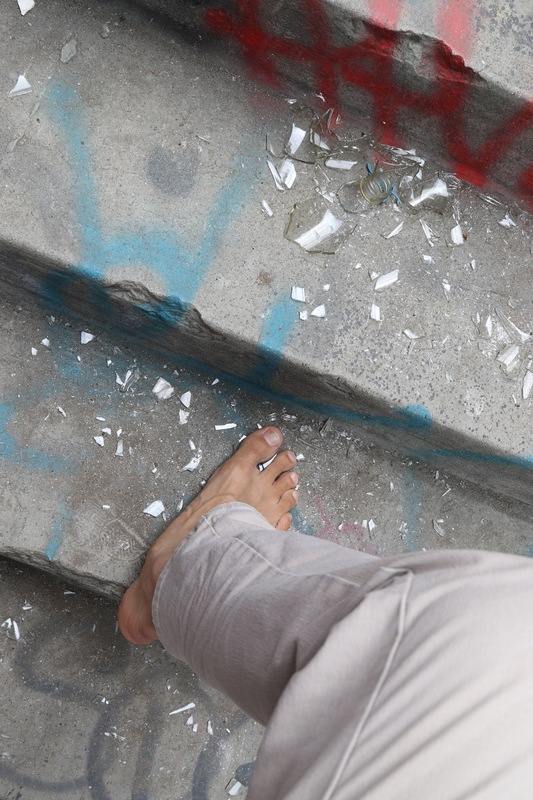 Once you reach the LA River crossing, the sidewalk is in pretty terrible condition, pretty much a garbage dump in places, littered with broken glass. Even for a now seasoned barefooter like me, it’s a challenging place to walk safely. Now at the base of the stairway, my route entered a rather forlorn part of town, passing the neglected confluence of the Arroyo Seco and LA River, the imposing, threatening presence of the Lincoln Heights Jail, and finally back to civilization at North Broadway. 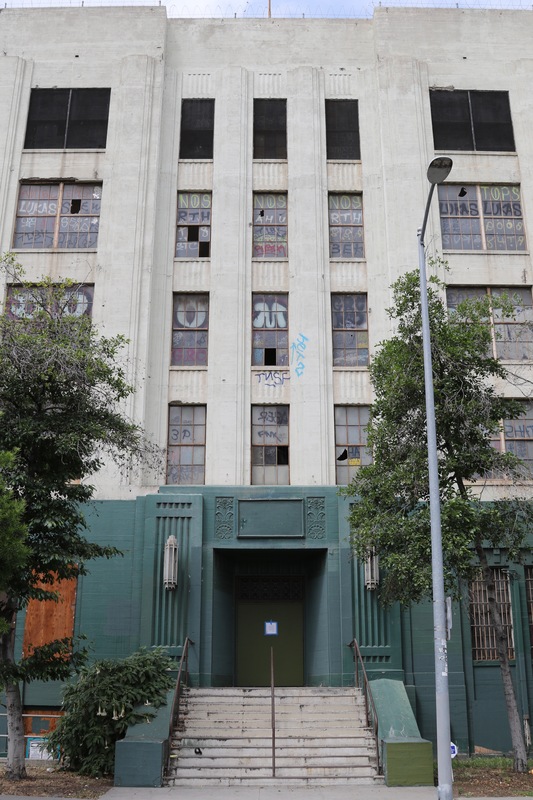 Lincoln Heights Jail, I think this might be a great place to explore, anyone? After some lunch at Carnitas Michoacan, I continued my walk through Lincoln Heights, full of Victorian structures in various states of repair, finally reaching North Main Street at the Brewery art colony. I turned back towards Union Station. Main Street passes the last remnants of the old Italian community that used to be here, now just an Italian deli and the historic San Antonio Winery structures. It’s going the way of other historic Italian neighborhoods, like New York’s Little Italy and East Harlem, where the American melting pot finally mixed. The Main Street Bridge (1910), the oldest and shortest of the LA River spans, leads into an industrial neighborhood on one side, and the World War II-era, International style William Mead Houses (1942), aka Dogtown, on the opposite side. Despite the reputation of public housing, this appears to be a vital and well-kept public housing project. The next set of bridges are in downtown proper, starting with the Macy Street Bridge, now Cesar Chavez Street Bridge. Stay tuned.